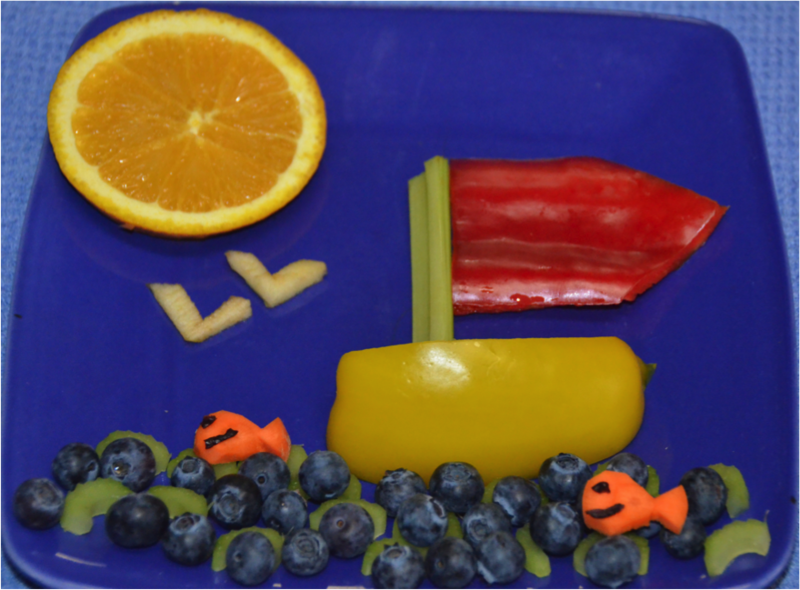 Home » Nutrition » Kids Nutrition » Let’s Go Sailing with Food Art! Let’s Go Sailing with Food Art! Then sail, sail away with this pepper and celery boat! What better way to enjoy the heat with a juicy orange slice shining sun, apple birds and a blueberry sea. Add in some celery slices for seaweed and carrot fish for character. Raisin slivers allow the fish to express their happiness while swimming. Comment on Let’s Go Sailing with Food Art! I thought you might want to see my food art http://www.facebook.com/FunMeals. Let me know what you thing.